The best music review in Africa is back and without any further ado let’s presents to you what we have on this on this week episode of Absolute Hearts Music Review. 1. Fuse OGB ft. Ed Sheeran x Mugeez - Boa Me: Now this is what I call making the best out of a foreign collaboration. Ghanaian artiste Fuse OGB features Shape of You singer Ed Sheeran and fellow Ghanaian artiste Mugeez (R2beees) and together they provide us this beautiful melodious song titled Boa Me. With Ed Shaeeran on the hook couple with those loving strings rolling on the beats, there is no way you won’t enjoy this song. The rating will 9/10. 2. D-Black ft. Mayorkun -M akoma: Ghanaian rapper D-Black return to the scene with Nigerian act Mayorkun with the song titled Makoma. No offense to D-Black but everything that makes this song decent boils down to the brilliant effort from Mayorkun who took the chorus of the song to another level. The rating will be 5/10. 3. 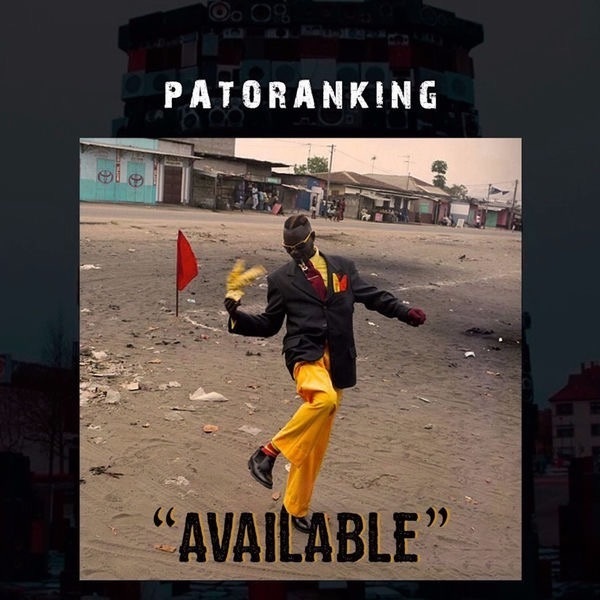 Patoranking - Available: Don’t let the sound confuse you, this is coming straight out of Nigeria. Nigeria dancehall act Patoranking decides to jump on the wide spreading South African sound called Qgom and he blew it away. Without any vocals this sound alone will get you out of any crappy mood and make you happy, Available is another take over hit from Patoranking that will definitely go far across the continent. The rating will be 7/10. 4. Mz Kiss - Ijo: Mz Kiss is back with another dace tune titled Ijo and on this one she gives us some South African pop sound and I have to say she nailed it. The Tiwezi produced track will have a rating of 9/10. 5. Dammy Krane - Your Body (Odoo Esisi Mi): Dammy Krane has decided to leave the twitter banter and focus on his music with the release of another single titled Your Body (Odoo Esisi Mi) and I have to say he did a decent job on the Kiddominant produced song. If Dammy Krane can focus more on his music and not some bs twitter banter, no doubt he will reclaim his spot. The rating will be 8/10. 6. Sarkodie - Almighty: The most hardworking rapper in Africa, Ghanaian Sarkodie returns with another brilliant single titled Almighty. Yes just like the name, this song talks about the guidance of God on him and as expected he delivers on another dope hip hop beat. The rating will be 9/10. 7. Krisbeatz ft. Yemi Alade x Harmonize - 911: As we expect the soon to be released ADM project of super talented Nigerian producer Krisbeatz, he gives us this soul sweetening song titled 911 featuring fellow Nigerian Yemi Alade and Tanzanian Harmonize and together they delight our soul with this new afro sound. The rating will be 9/10. 8. Iyanya - Holy Water: Though there are numerous rumours saying things are not going on well between Iyanya and the Mavin family with the latest rumour developing after the Mavin crew (expect from a late post from Don Jazzy) didn’t send the singer wishes on his birthday. That isn’t stopping Iyanya as he remained focus on his music as he drops this brilliant track titled Holy Water and I have to say for all the good reasons this is a good song, though I hear a bit of shades in there but that could just be me. The rating will be 8/10. 9. KLY - I Want: South African singer KLY is back with another decent song titled I Want and on this super produced song the singer goes on really hard as this rating will be 9/10. With songs like this you just have to be proud of South African music and how much it has grown. 10. Burna Boy - Déjà vu: Nigerian singer Burna Boy drops two hot singles this week and one of them is Déjà vu which is the one we are reviewing today. Déjà vu is another classic tune coming from Burna Boy as he takes on a slow melodious tune produced by Chopstix and the rating will be 8/10. 11. Davido - Fia: After what has been a month of scandals and tribulations for Nigerian singer Davido, the DMW boss finally return to the studio as he connects with in-house producer Fresh on a song called Fia. This is a decent track coming from the singer and I have to say I hear some shot fired on, the rating will be 8/10. 12. DJ Xclusive - Belle: DJ Xclusive remains the only artiste keeping the EME fire burning as the superstar exclusive DJ returns with another fire dance tune titled Belle, this is a straight hit that would turn the whole club upside down. Using the popular Nigerian line my belle ooo my head ooo, on a super dope production from Gospelonthebeat this is definitely a 10/10 rating. 13. Koker - Testimony: Chocolate City artiste Koker is back with another track titled Testimony. Not to be harsh but this song is a no no, first the instrumentals sounds like that of Do Something though we can forgive him because it's still his song right? but then the whole concept of the song itself isn’t it at all. The rating will be 4/10. 14. Terry Tha Rapman ft. Olamide - Obi (She dey Whine): TR returns with another single titled Obi (She dey Whine) and on this one he features Olamide and Pheelz is responsible for the production of this song. Not a bad song as Olamide puts in a decent effort on the chorus. The rating will be 7/10. 15. Eva Alordiah - Bottle Problems: Yes the best Nigerian female rapper is back, after taking a long break from the music scene Eva decides to drop another dope hip hop joint to remind us that she hasn’t lost it. Bottle Problems is another dope joint coming from the rapper and the rating will be 8/10. 16. Nasty C ft. Tellaman - Dance: In the midst of all the “who said what situation” surrounding Nasty C, the South African young rapper isn’t distracted from the music as he drops another dope joint featuring his industry friend Tellaman and together they gave us an 8/10. 17. Emtee - My Enemies: Emtee return with another track titled My Enemies and we hear him taking a sweep at his enemies on this track which isn’t a shocker considering some of the news that have been surrounding him recently. The rating of this hip hop song will be 8/10.